Play before bed, after lunch, or even on a bus ride to get rid of your stress! In a checkerboard of limited cells, your mission is to connect at least 4 cells with the same number to create a bigger number. 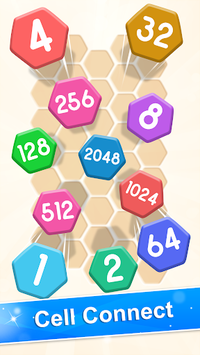 After each round, more random numbers would appear, increasing the difficulty of game. Now let's see who can get the highest score. • Easy to play but hard to master. 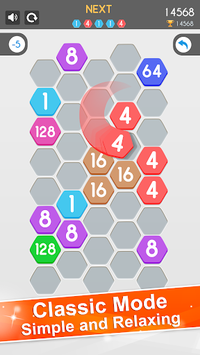 • Checkerboard ＋ cells to merge, bringing you a fresh game experience. • Endless cells ＋ random numbers, making it progressively difficult. • Strategize to achieve high scores! Brand new weekly challenge presents a different checkerboard and gameplay every week. Come join worldwide players and meet the thrilling challenge! "Cell Connect" is a fun but challenging game. Come and give it a try!